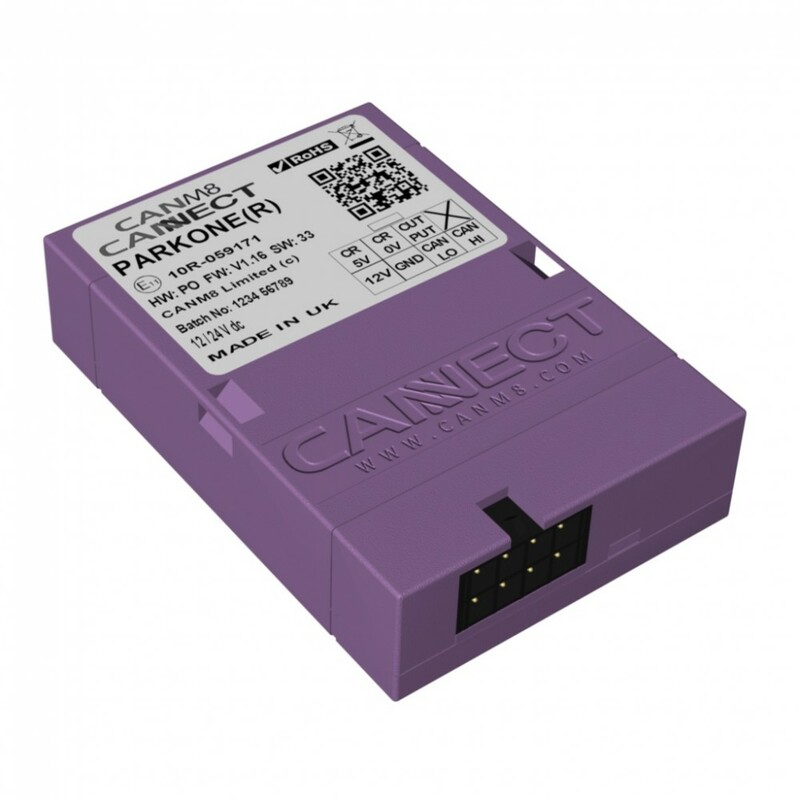 The CANM8 CANNECT PARK ONE (R) interface is designed to provide a universal solution for installing after-market rear parking sensors, reversing cameras, side view systems and other equipment that requires a control signal when reverse gear is selected on vehicles which feature CAN Bus wiring. Reverse > 12v (1A max) when reverse gear is selected. RED > Connect via a 5A fuse to a PERMANENT 12v supply. PURPLE > Reverse Output : 12v (1A max) when reverse gear is selected. To purchase this product, please login to your account or purchase directly from our UK distributer NCS-Systems by clicking here.